4k videos are quite overwhelming to see as it comes with very high quality. Nowadays as technology is growing day by day you can easily record and process 4k videos from Go Pro, smartphone and digital camera. While the quality of convert 4k videos is unmatched, the challenges faced by 4k video is extremely high when its come to playing it on the old device. Hence to get rid of all these problems we can use VideoProc, a full-featured 4k video processor which will help you to edit, resize, adjust, transcode the 4K UHD videos. It’s a one-stop video processing software. Basically, iPhone users are restricted to use some third-party application and hence they find it quite difficult to edit, resize, adjust, transcode their 4K UHD. VideoProc will help them to do the above stuff with ease. 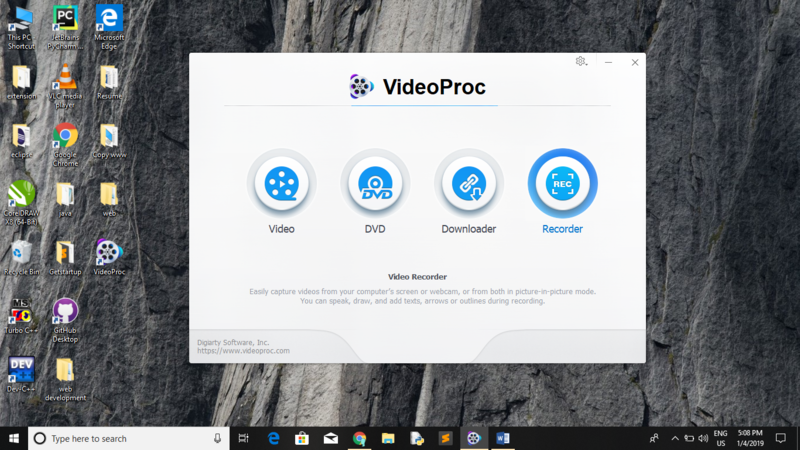 Some add-ons which are included in VideoProc are that It also offers the solutions to download online videos from 1000+ sites, record webcam/screen at same time, record iPhone screen without the red bar, etc. VideoProc is generally favored over the other video processing such as Adobe Premiere Pro CC Vegas, Final Cut X. Reason being, its nice simple and interactive interface. Even a beginner can use this software with ease without finding any problem. Secondly, it uses level 3 hardware acceleration technology which is powered by Intel, AMD, Nvidia GPU. It is the best video processor for video footages shot by action cameras like GoPro, drone, DSLRs, iPhones. None other processors can match the 47X faster speed and lowest CPU usage feature of VideoProc. Some of the main reason why we should use VideoProc is given below. There are certain videos which are in the format of MKV, FLV, AVI are generally not supported in iPhone. This is the problem which you may encounter. The second issue which you can face while shooting a video on iPhone is that you can’t share the video on other devices as it will be led to fiasco because the video of iPhone is generally in the format 4K HEVC which might be not supported on other devices. Last but not least, the issue which you will face to unable to import iPhone HEVC, VBR videos to Premiere. 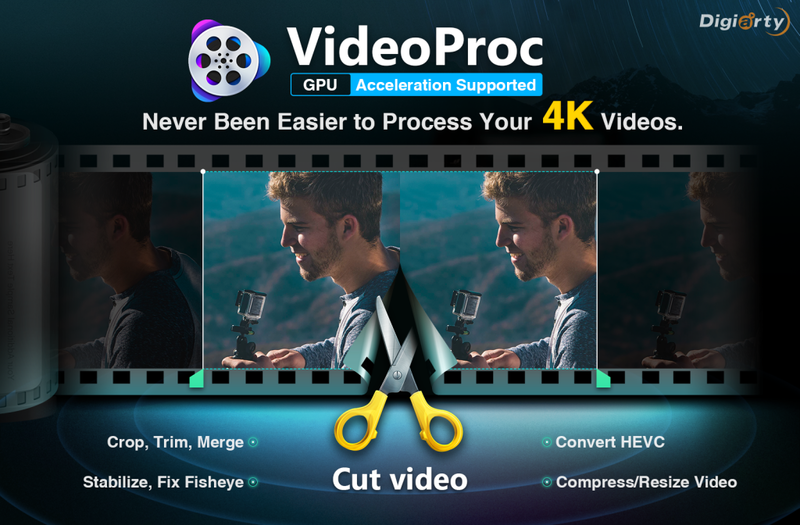 In iPhones, you generally find a problem while editing or processing large 4k videos hence you can use VideoProc to edit the videos. Your iPhones may lag or freezes while editing a large video. The solution to all the above mention problem is VideoProc. Sometimes a problem may have occurred to iPhone user that they are not able to share the videos on social media websites due to its limit as Videos exceed the length limit of video sharing sites. Aspect ratio is often not right and hence you may get the video or image out of the frame. There are the whole bunch of problems faced by iPhone users when it comes to video quality. Some of the problems occur when they try to upload Hd videos on websites. After uploading the video quality decreases. Also while recording the iPhone screen, red bar can be easily seen on the display which can be quite annoying. Now after discussing various problem faced by iPhone user in terms of video we will now focus on the features of VideoProc which will help you to encounter all the shortcomings. VideoProc supports all types of video as well as audio formats. The videos which are shot on GoPro, Blue-ray videos, HDTV/HD-camcorders videos, 4K UHD HEVC/H.264 is easily supported. It convert 4k videos to any given format very faster due to its level-3 GUP acceleration which is powered by NVIDIA CUDA/NVENC, and AMD. What follows is the list of audio as well as video formats supported by VideoProc. Audio format– MP3, AC3, AAC, FLAC and more. Video format- MP4, AVI, FLV, MKS, MOV, MPEG4, H.264, HEVC, WMV, MTS, M2TS, TS, AVCHD, MOD and more. 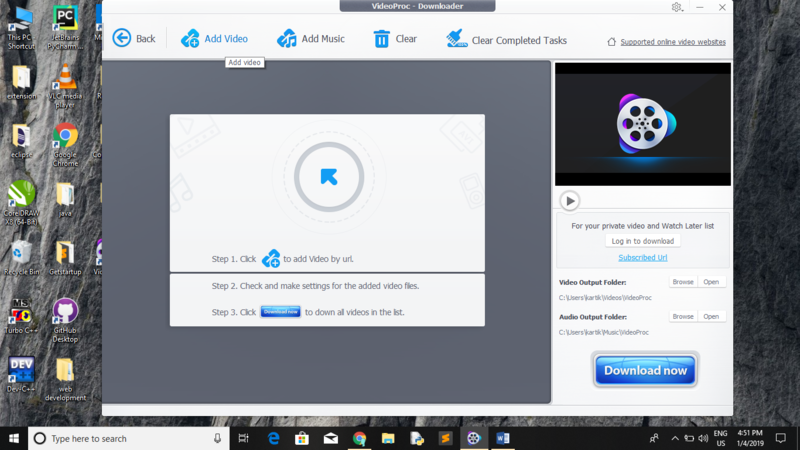 Video Pro consists of inbuilt online video downloader from where you can download videos from youtube, facebook, and various other websites. It is very easy to use. 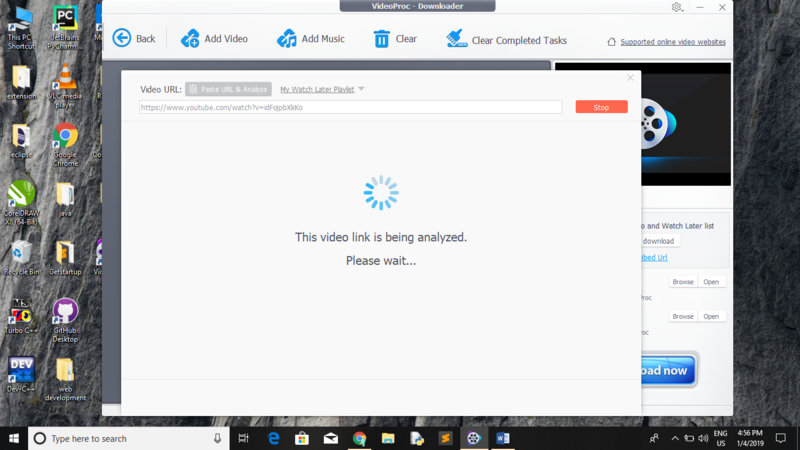 If you are using any other video downloader then very likely you will be able to notice some changes in terms of downloading speed. Steps to use In-built downloader are given below. The below screen will pop out. Click on Add video and enter the URL of the video. After pasting the link click on Analyze. There will be a various option for you in which quality you want to download. Select the one which you want to download and click download 4k videos selected video. The download will start in a few seconds. The downloading speed, as well as the percentage, will be displayed on the screen. 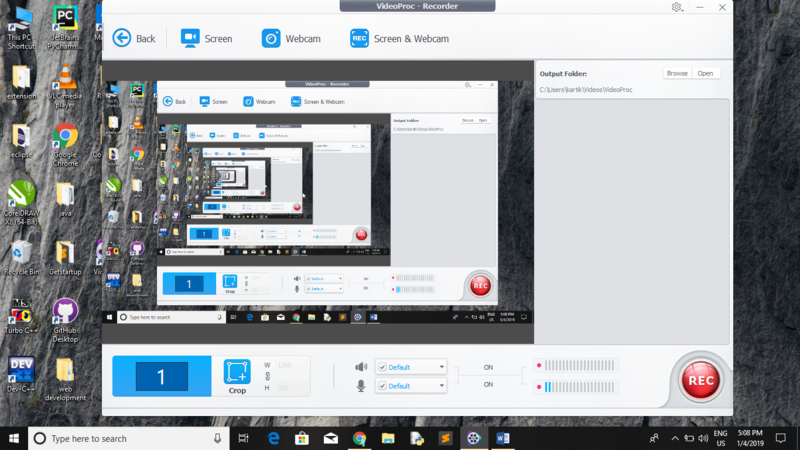 This feature of VideoProc is quite overwhelming to use as it records the screen and saves it at the same time. There will be no visibility of the red bar on the screen which is quite pleasing. 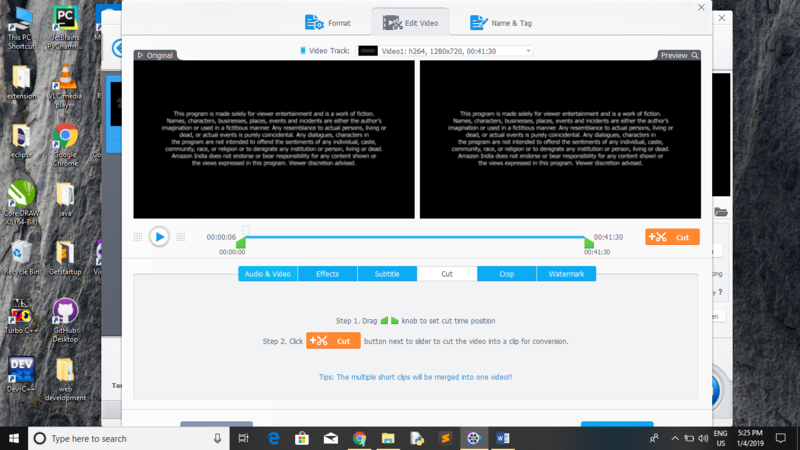 One of the Best Feature of VideoProc is that you don’t have to wait for the video to be saved as it will save your video automatically once you stop the screen recording. 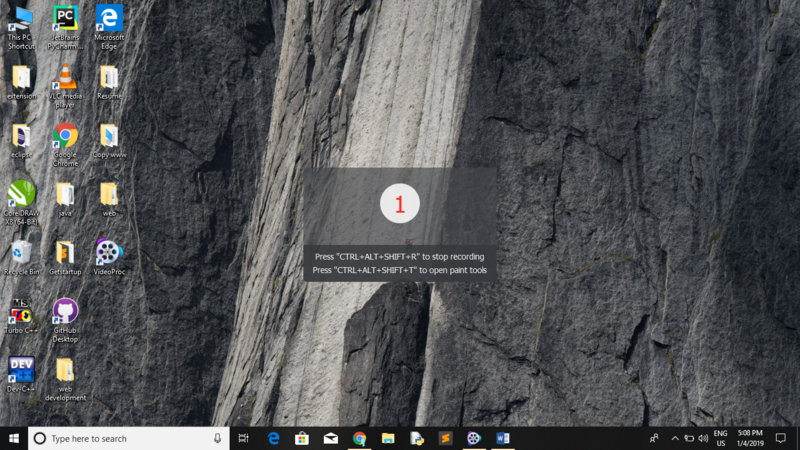 Follow the below steps to record your screen without the red bar. 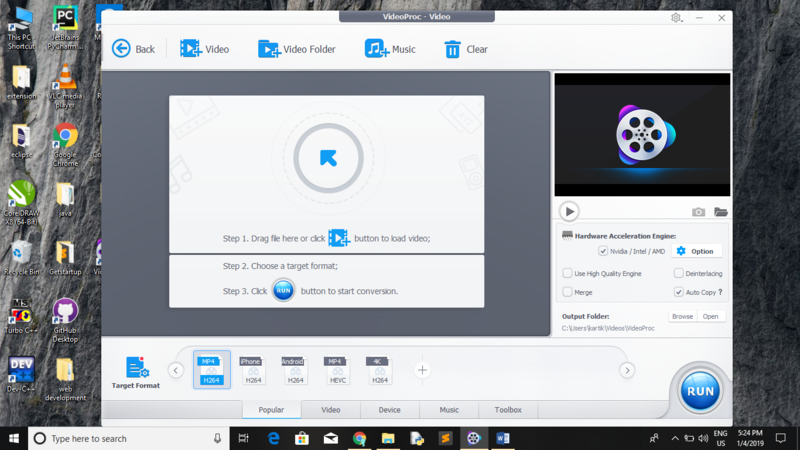 Launch VideoProc and head towards screen recorder. 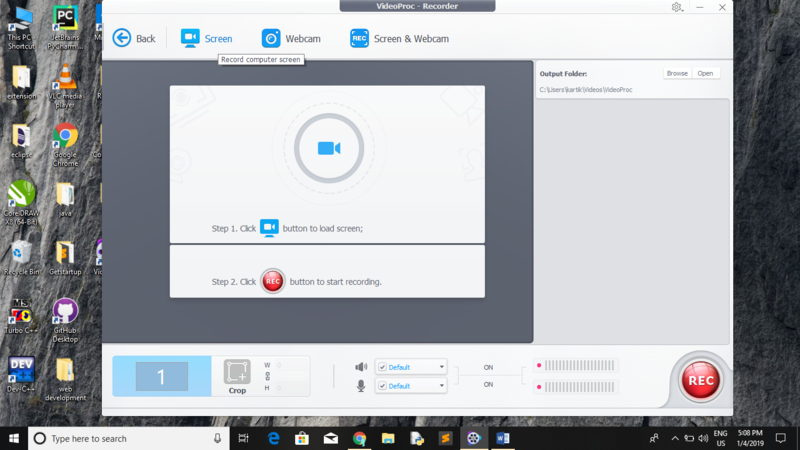 This screen recorder function helps you to record the screen as well as you can also record from the webcam. If you want to record the video of the screen then you can click on the screen button. You can click on the red button which is present in below extreme right side. The recording will start and once you are done with recording click on the stop button. You can press “CTRL+ALT+SHIFT+R” to stop the recording. You can also press “CTRL+ALT+SHIFT+T” to open paint tools. This is the best feature of VideoProc as it will let you edit, trim, cut and process the videos very faster. It almost does all the above stuff at a 4X faster speed than any other software. You can also edit any video from YouTube and later post it. It is very useful for YouTubers out there as you get hell lot of option to edit. Follow the below steps to edit the video. Launch VideoProc and head towards Video. You can dragon drop the video from your computer to the desired location in Video Proc. 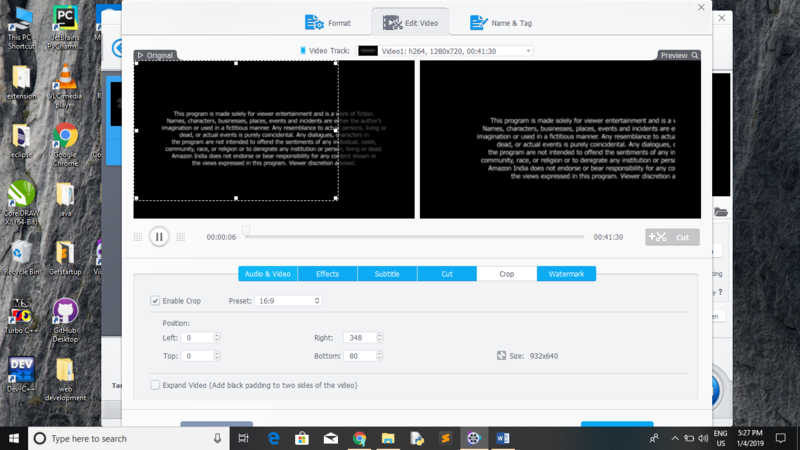 After the video is inside the video proc you will get a various option like edit, trim, cut, crop you can select your desired option from there. The above figure depicts how you can cut the video. After setting the frame click on Cut button to trim down the video. Crop- The above diagram will help you to know how you can crop the video. Click on this link to download this awesome VideoProc software and start using it right away. So what are you waiting for. 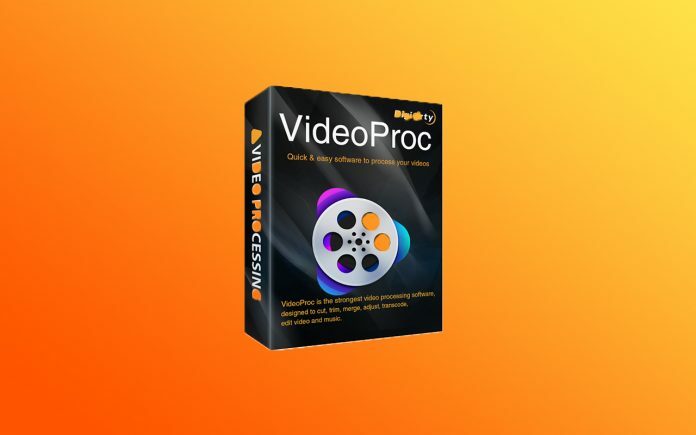 Download the VideoProc software and start using it right away. Share this article with your friends and family member so that they know about this amazing software.